Do you need a drive-in TV studio close to New York City? 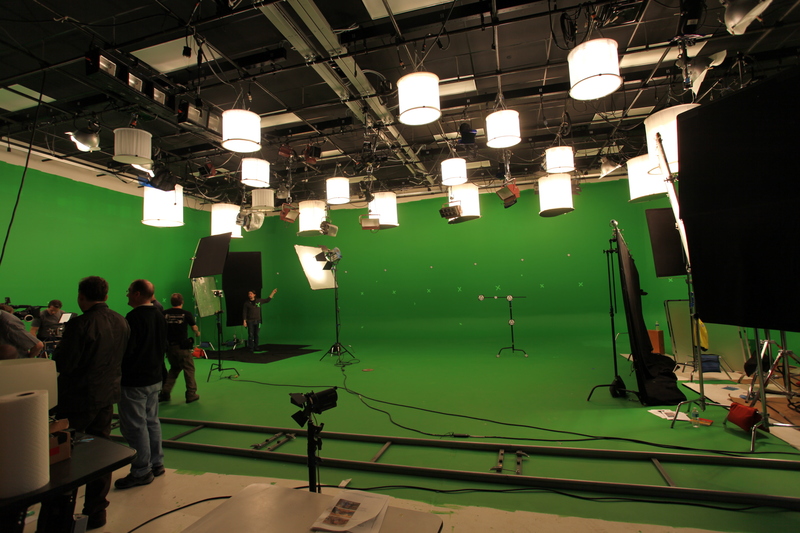 Studio A is our larger 3-wall hard cyclorama studio. Generally, you'll find it with a white cyc and a green cyc, ready to go for either shoot. It's quiet, spacious, and well-appointed. Access is easy with a covered, drive-in ramp and a loading dock. We also offer lighting and grip packages to suit your project. Click here for our lighting and grip list. Please note that both studios come "as is" with lighting and paint as left by the previous production. Retouching or full painting services are available. Continue to learn about Studio B. Typical shoot in Studio A. Click the image to view a time-lapse video of the entire process. Showtime used Studio A for a Desus & Mero sketch.